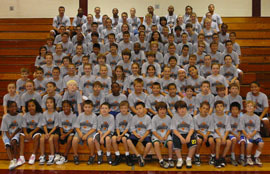 All camps are from 9:00 am - 3:00 pm providing daily instruction, games and contests. Camp emphasis is on fundamentals, skill development and fun. Experienced staff and all teaching done in a positive atmosphere. Camps certified by the New Jersey State Health Department. Multi-week & sibling discounts available.